Granting Exclusive Use of Common Area: Approval Required? Asked – Our Board wants to grant homeowners exclusive use of our Association’s common area storage closets and also charge a fee to such homeowners wanting exclusive use. May they do this without membership approval? Answered – Probably not. 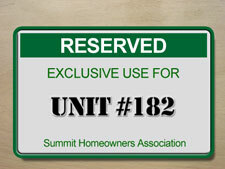 Civil Code § 1363.07 substantially restricts an Association’s ability to grant exclusive use of common area. Provided that your Association’s governing documents do not state otherwise, granting exclusive use of any portion of the Association’s common area requires approval by 2/3 (67%) of the membership. There are a few narrow exceptions to this requirement; however, none of the exceptions provided in Civil Code § 1363.07 likely apply to your situation. An Association is permitted to receive monetary compensation in exchange for granting exclusive use of Association common area. Civil Code § 1363.07 requires disclosure of such compensation when the issue is presented to the membership for a vote. Be sure to review your Association’s governing documents to determine what provisions, if any, govern the use rights of common areas and exclusive use common areas within your Association. If the Board does not have the authority under the governing documents, or does not have the requisite approval under the Civil Code, to grant exclusive use of Association common area, homeowners may bring an action in court to reverse the grant.